Richmond, VA (April 18, 2018) To outperform the competition as a NASCAR driver, it’s key to be safe, fast and have clear verbal direction. The same can be said for those who need to be prepared in the event of a life-threatening allergic reaction. 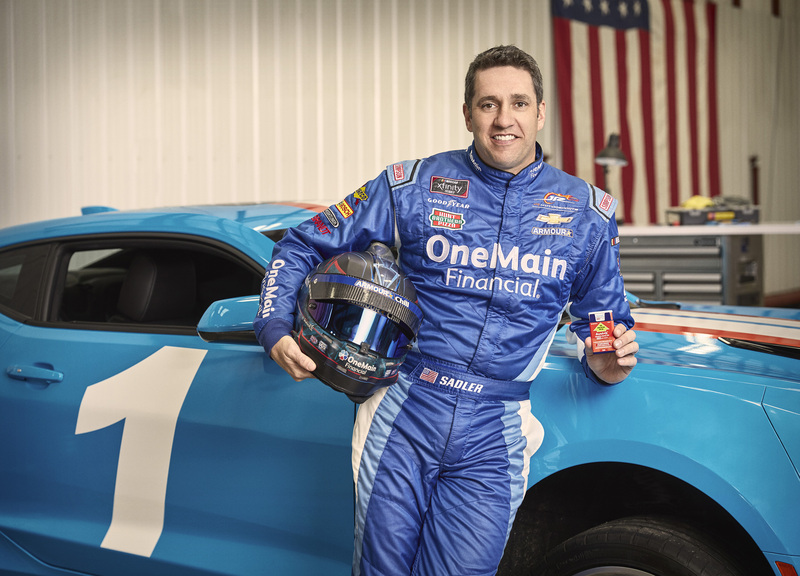 For these reasons, NASCAR XFINITY Series racecar driver, Elliott Sadler, is collaborating with AUVI-Q® (epinephrine injection, USP) to raise awareness of life-threatening allergies and anaphylaxis. 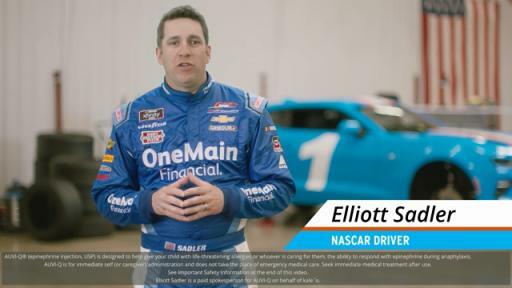 This initiative hits close to home for Elliott. 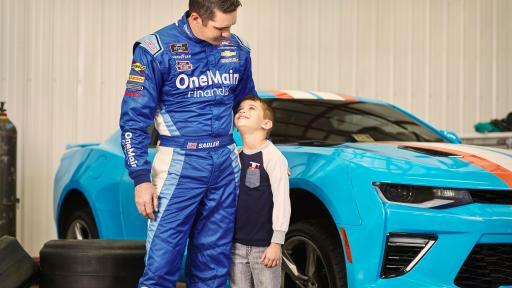 His son, Wyatt, was just a toddler when he experienced an anaphylactic reaction and was rushed to the emergency room after tasting a peanut for the first time. Wyatt was subsequently diagnosed with a severe peanut allergy that Elliott and his wife, Amanda, learned could be life-threatening. Now, Wyatt and his family don't go anywhere without AUVI-Q. AUVI-Q is an FDA-approved prescription medicine used to treat life-threatening allergic reactions, including anaphylaxis, in people who are at risk for or have a history of serious allergic reactions. AUVI-Q is the first and only epinephrine auto-injector (EAI) with an auto-retractable needle and includes innovative features such as step-by-step voice instructions that guide the user through the administration of epinephrine during a panic-stricken, life-threatening allergic emergency. AUVI-Q does not take the place of emergency medical care. Seek immediate medical treatment after using AUVI-Q. Food allergies have been shown to be the leading cause of anaphylaxis in children ages 0-9.1 It is estimated that approximately 6 million children aged 17 and younger in the U.S. have food allergies, with peanut being the most common allergen2, and the number continues to rise.3 Elliott's race schedule will have him traveling the country over the next several months to talk about his journey with Wyatt, and to raise awareness of life-threatening allergies and the steps that can be taken to be prepared during an allergic emergency. It's also easy for Elliott to draw parallels between his career in NASCAR and his son's experience in being prepared for a life-threatening emergency. 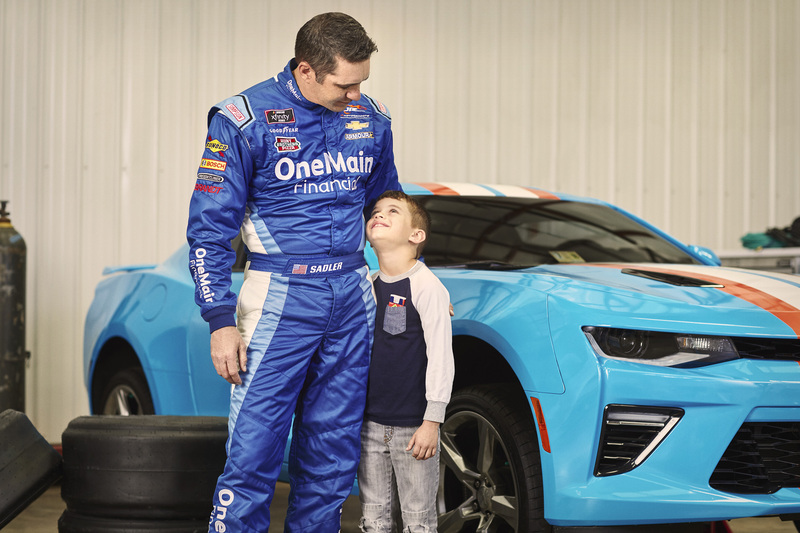 The AUVI-Q Trainer, which comes with the AUVI-Q auto-injectors, is designed to guide an untrained user through the steps to administer epinephrine safely using AUVI-Q in an allergic emergency, much like how Elliott's chief crew communicates with him throughout the race. It's important to act fast, but safely. AUVI-Q, manufactured by kaléo, is available by prescription nationwide. 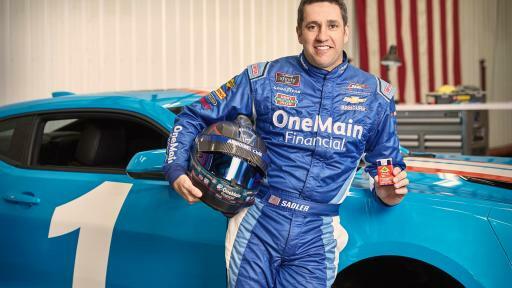 To learn more about AUVI-Q and Elliott Sadler's partnership, please visit www.auvi-q.com. Anaphylaxis (pronounced ana-fuh-lak-sis) is a serious allergic reaction that happens quickly and may cause death. Anaphylaxis can occur as a result of exposure to allergens including tree nuts, peanuts, milk, eggs, fish, shellfish, soy, wheat, insect bites, latex and medication, among other allergens. AUVI-Q (epinephrine injection, USP) Auto-injector is a prescription medicine used to treat life-threatening allergic reactions, including anaphylaxis, in people who are at risk for or who have a history of serious allergic reactions. AUVI-Q contains epinephrine, a well-established, first-line treatment for severe, life-threatening allergic reactions that occur as a result of exposure to allergens including food such as peanuts, tree nuts, fish, shellfish, dairy, eggs, soy and wheat; insect stings or bites; latex and medication, among other allergens and causes. AUVI-Q is the only compact epinephrine auto-injector with a voice instruction system that helps guide patients and caregivers step-by-step through the injection process, and a needle that automatically retracts following administration. In anaphylaxis emergencies, it is often individuals without medical training who need to step in and deliver potentially life-saving epinephrine. AUVI-Q was designed through careful analysis of the situations where epinephrine auto-injectors are used and with significant input from the allergy community that relies on it incorporating Human Factors Engineering (HFE). HFE is about designing products or systems that are easy to operate and, most importantly, support correct use, with the goal to remove the potential for error. For more information about AUVI-Q (0.3 mg, 0.15 mg and 0.1 mg) visit www.auvi-q.com. AUVI-Q® (epinephrine injection, USP) is a prescription medicine used to treat life-threatening allergic reactions, including anaphylaxis, in people who are at risk for or have a history of serious allergic reactions. AUVI-Q is for immediate self (or caregiver) administration and does not take the place of emergency medical care. Seek immediate medical treatment after using AUVI-Q. Each AUVI-Q contains a single dose of epinephrine. AUVI-Q should only be injected into your outer thigh, through clothing if necessary. If you inject a young child or infant with AUVI-Q, hold their leg firmly in place before and during the injection to prevent injuries. Do not inject AUVI-Q into any other part of your body, such as into veins, buttocks, fingers, toes, hands, or feet. If this occurs, seek immediate medical treatment and make sure to inform the healthcare provider of the location of the accidental injection. Only a healthcare provider should give additional doses of epinephrine if more than two doses are necessary for a single allergic emergency. Rarely, patients who use AUVI-Q may develop infections at the injection site within a few days of an injection. Some of these infections can be serious. Call your healthcare provider right away if you have any of the following symptoms at an injection site: redness that does not go away, swelling, tenderness, or the area feels warm to the touch. If you have certain medical conditions, or take certain medicines, your condition may get worse or you may have more or longer lasting side effects when you use AUVI-Q. Be sure to tell your healthcare provider about all the medicines you take, especially medicines for asthma. Also tell your healthcare provider about all of your medical conditions, especially if you have asthma, a history of depression, thyroid problems, Parkinson’s disease, diabetes, heart problems or high blood pressure, have any other medical conditions, are pregnant or plan to become pregnant, or are breastfeeding or plan to breastfeed. Epinephrine should be used with caution if you have heart disease or are taking certain medicines that can cause heart-related (cardiac) symptoms. Common side effects include fast, irregular or ‘pounding’ heartbeat, sweating, shakiness, headache, paleness, feelings of over excitement, nervousness, or anxiety, weakness, dizziness, nausea and vomiting, or breathing problems. These side effects usually go away quickly, especially if you rest. Tell your healthcare provider if you have any side effect that bothers you or that does not go away. Please see the full Prescribing Information and the Patient Information at www.auvi-q.com. Kaléo is a pharmaceutical company dedicated to building innovative solutions for serious and life-threatening medical conditions. Our mission is to provide innovative solutions that empower patients to confidently take control of their medical conditions. We believe patients and caregivers are the experts on how their medical condition impacts their lives and are an integral part of our product development process. Kaléo is a privately-held company headquartered in Richmond, Virginia. For more information, visit www.kaleopharma.com. 1 Lee, S, Hess EP, Lohse C, et al. Trends, characteristics, and incidence of anaphylaxis in 2001-2010: A population-based study. The Journal of allergy and clinical immunology. 2017;139(1):182-188.e2. 2 Gupta RS, Springston EE, Warrier MR, et al. The prevalence, severity, and distribution of childhood food allergy in the United States. Pediatrics. 2011;128(1):e9-17. 3 Tang, MLK, Mullins, RJ Food allergy: is prevalence increasing? Intern Med J, 47: 256-261.